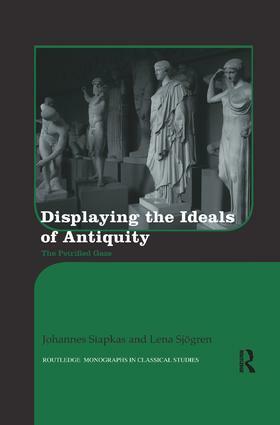 Displaying the Ideals of Antiquity investigates the study and display of ancient sculpture from archaeological, art historical, and museum studies perspectives. Ancient sculptures not only give us knowledge about ancient Greek and Roman pasts, but they also mediate ideals that inform modern perceptions of antiquity. This book analyzes how an art historical tradition establishes and preserves an idealized view of antiquity in classical archaeology and in museum exhibitions. The authors investigate how these ideals are kept alive today—an approach that often is neglected in studies on ancient reception.This book offers an international scope and illustrates how academic conceptual foundations influence museum exhibitions.This timely volume discusses contemporary museum exhibitions of ancient sculpture and clarifies how old discourses continue to affect museum exhibitions and conceptualizations of ancient sculptures. The authors analyze close to 100 museums around the world, and demonstrate the ways in which ancient sculptures are mediated across Europe and the West. Johannes Siapkas is Associate Professor in the Department of Archaeology and Classical Studies at Stockholm University, Sweden. Lena Sjögren is Associate Professor in the Department of Archaeological and Classical Studies at Stockholm University, Sweden.